We are a family of 4. Our children are 16 and 11 years of age.We are a family of 4. Our children are 16 and 11 years of age.We are a family of 4. Our children are 16 and 11 years of age. I hope you are having a good day. I am looking for well trained house care services in Woodbridge. Excited to talk to you soon.I hope you are having a good day. I am looking for well trained house care services in Woodbridge. Excited to talk to you soon.I hope you are having a good day. I am looking for well trained house care services in Woodbridge. Excited to talk to you soon. 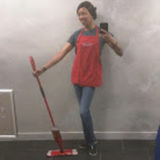 Housekeeper.com’s housekeeping jobs service is the most reliable source for finding a housekeeper, maid, or cleaning lady job in Woodbridge. This is the most trusted, complete and easy to use database of Woodbridge housekeeper jobs. 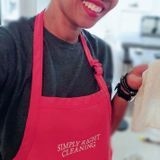 Whether you’re looking for a residential, commercial, office, condo or apartment cleaning job, Housekeeper.com can help you find a great housekeeping job in the Woodbridge area.